California meadow sedge is native to stream banks, and vernally wet places at the beach from British Columbia south in to Baja. 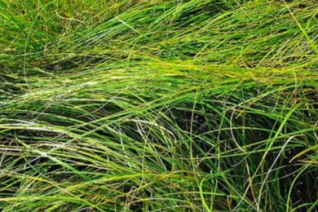 A deep green winter growing sedge which each plant reaches about 18″ across and 10″ or so inches high. It flops over gracefully and has a very uniform appearance through the year with light irrigation. This is a winter growing plant that resumes growing and greens up with winter rains. In very cold weather (below 20ºF) it can take on russet tints. A FANTASTIC LAWN SUBSTITUTE where it has been used extensively for that application in California. We should use it here too. Plant on 1′ centers for a lawn (faux lawn) cover from one gallons and water regularly through the first season. No water plantings can go summer dormant but in wetter environs this can be avoided and it will remain green and verdant. Water once a week in summer to remain green. Fantastic ground cover, slope cover as it will out compete weeds and form a uniform cover. 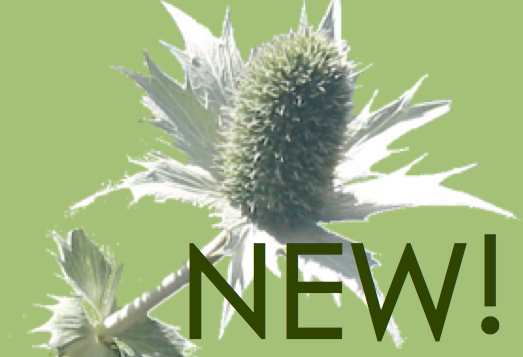 Tolerates clay soils well, but some amending will reap rewards with a faster growing plant. Tolerates mowing very well. Oregon native plant. 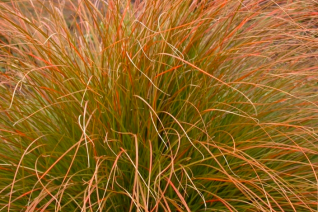 Wonderful orange Carex that is a great (if temporary] garden plant. Clumping and upright then broadly arching. Leaves take on intense copper tints for most of the year. Excellent plant for containers, winter containers. Evergreen and for full sun to light shade. Regular to rich, well drained soil- average summer water. Not drought tolerant over the long haul, so at least a soak once a week in summer. To 10″ tall x 20″ wide. Give it room to reach its full dimension. Containerized plants will drape gracefully over the edge. Do not cut back hard in spring- limit your tidying to removing dead/ratty leaves. If you do have to cut it back hard then make sure you apply some all organic fertilizer and water consistently to speed recovery. Average lifespan 3-5 years. Avoid full exposure to subfreezing wind. New Zealand. We playfully refer to this large sedge as rootbeer grass. Its that color of ochre brown and it shine on this plant all year. 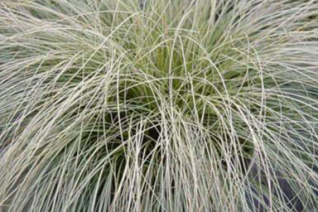 One of the hardiest and longest lived New Zealand sedges for full sun, well drained soil and light consistent summer water. To 14″ tall but spreading up to 3′ across. Trailing stems hold little brown flowers in summer. Very good winter appearance and it has survived temperatures below 10ºF with good drainage and full sun. Elegant trailing down a hillside. Very good in large containers including winter containers. Easy to grow. Moderate deer resistance. Give it room to spread. Several things about this sedge set it apart in this genus. Broad, wide leaves are soft green on the interior but lined boldly in cream. And its completely winter deciduous. Forms a spreading clump of great bolder texture that arches all in the same direction. Very nice. To 10″ tall and several feet across eventually. Rich, moisture retentive soil in part shade with consistent summer moisture. Excellent combined with the large leaves of Hosta. Line paths or use as a graceful punctuation in a woodland. Avoid really hot sunny dry locations- it will live but it won’t look so great. Completely deciduous in winter. Turns a tawny yellow in fall before leaves disappear. Meadow Sedge native to the west coast and beyond. 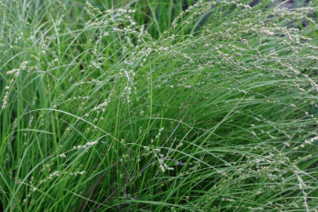 An evergreen fine textured clumping sedge that is gracefully employed in mass plantings, lawn substitutes even freeway margins. Very adaptable plant for average soil with regular water for best appearance. It will make due with conditions that are much less optimal. To 14″ tall but bending immediately in a cascading motion that mimics movement by wind – even when its still. Forest margins, riparian sites. Very useful plant with good winter presence. Full sun to very light shade. 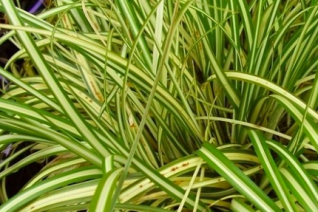 Common variegated sedge that is useful. The arching thin leaves have an interior of rich yellow with green lines on the sides. Dense forming evergreen tuft to 1′ tall by up to 2′ wide. Rich, moisture retentive soil with regular water in full sun to part shade. Tidy discolored leaves individually in spring- do not cut to the ground. It hates this. Gold stems support tan flowers in summer. Unfortunately, this sedge is often thrown into new landscapes and is marketed as a low maintenance carefree drought tolerant thing. Its not. It likes good care to look its best. Moderate deer resistance. Evergreen. 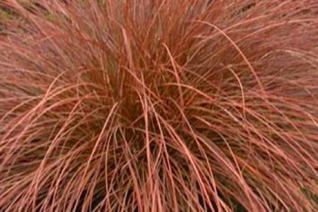 We found this unique foliage color in a seed batch of regular old green Carex comans. Such a cool khaki/olive color that we named it ‘Olive Oil’ and have been producing it ever since. 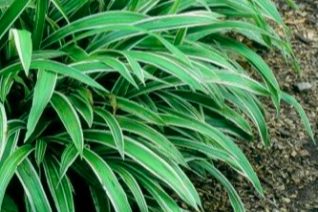 To 1′ tall by up to 3′ wide in rich, moist soil in full sun to part shade. In summer much longer trailing stems hide little brown blooms that morph into very fecund seeds. Excellent combined with chartreuse/gold leaved plants. Great in containers. Not drought tolerant. Evergreen. 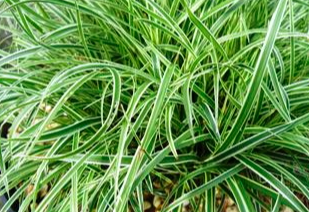 Aka ‘Hime kan suge’ Small clumping evergreen sedge that forms adorable fountains of fine green leaves lined in white. To 6″ x 6″ slowly increasing in rich, well drained moisture retentive conditions. Regular summer water. Wonderful massed in a local way or lining a path in a shady woodland. Good year round appearance. Not the fastest sedge so be patient and give it the conditions it wants. Full sun- with regular water to quite a bit of shade. 4″ spikes of tan flowers are cute in spring. Moderate deer resistance.